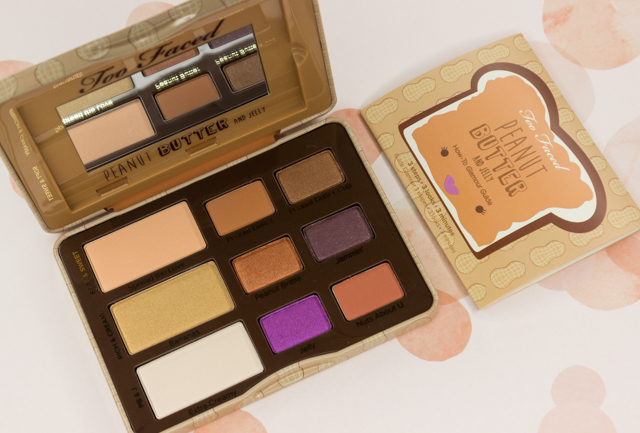 On my most recent trip to Ulta, I happened to come across Too Faced's Peanut Butter And Jelly Eye Shadow Palette. After swatching a couple of the colors, I was immediately sold. The palette contains nine highly coveted eyeshadows in varying tones with matte and shimmer finishes. 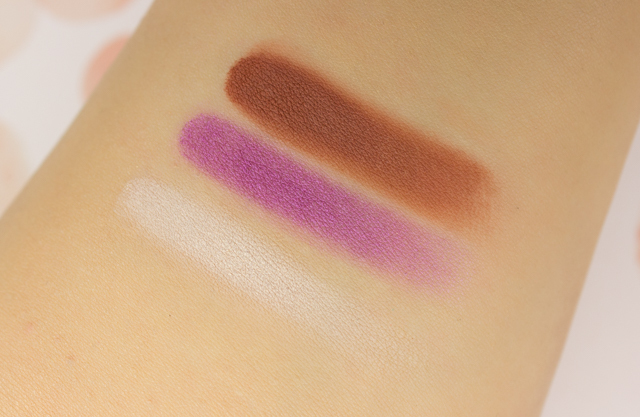 The colors lean mostly on the neutral side, but there is a fun bright one included as well, which compliments the rest of the other eight eyeshadows nicely. The eyeshadows come housed in a cute and compact tin case that contains a magnetic closure. There is a mirror included, and a helpful guide with three look ideas. It definitely comes in handy if you are looking for a little inspiration when it comes to creating looks with the eyeshadows. Based on my experience, Too Faced never disappoints when it comes to their eyeshadows. 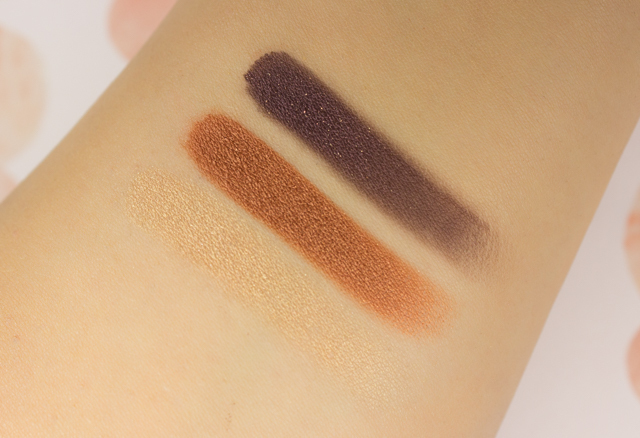 The ones in the Peanut Butter And Jelly palette are all unbelievably smooth, easy to blend, pigmented, and long wearing (especially when applied over an eyeshadow primer). 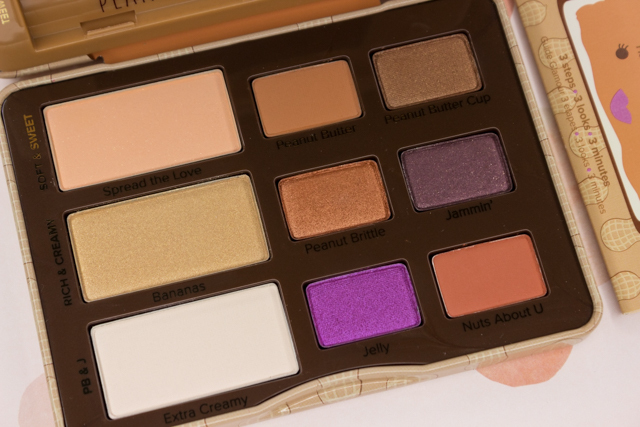 A few noteworthy shades that I think are simply fantastic are peanut butter, nuts about U, jelly, and peanut brittle-this was the main eyeshadow that ultimately led to my purchase. Such a stunner. Did I mention that the eyeshadows smell like peanut butter? Indeed they do. Amazing! I think my nose also detects a hint of a chocolate scent as well? So yummy. Don't worry, the eyeshadows don't contain peanuts. 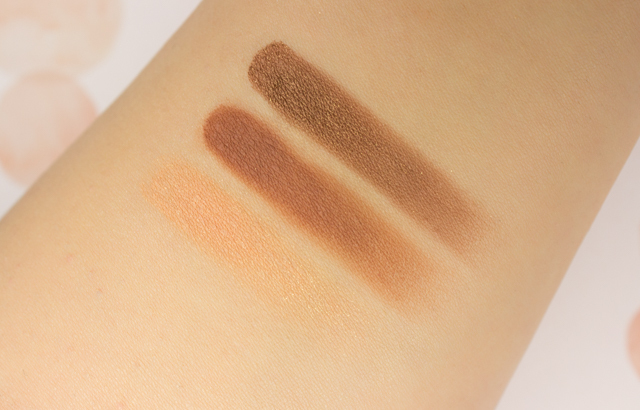 Also pretty cool is that the eyeshadows are infused with cocoa powder, which is super rich in antioxidants. Overall: It's undeniable that there is an abundance of neutral eyeshadow palettes out on the market. I mean, how many neutral eyeshadows does one need? But, I will say that I am glad I didn't overlook Too Faced's Peanut Butter And Jelly Eye Shadow palette. I think it's actually quite refreshing, and the high quality eyeshadows are ones that I know I am going to be reaching for loads, especially during the spring and summer months. The Peanut Butter And Jelly palette is versatile enough that it totally holds its own against other neutral eyeshadow palettes. Plus, the peanut butter scent of the eyeshadows is truly something else. Get on this palette dolls, you won't be disappointed. 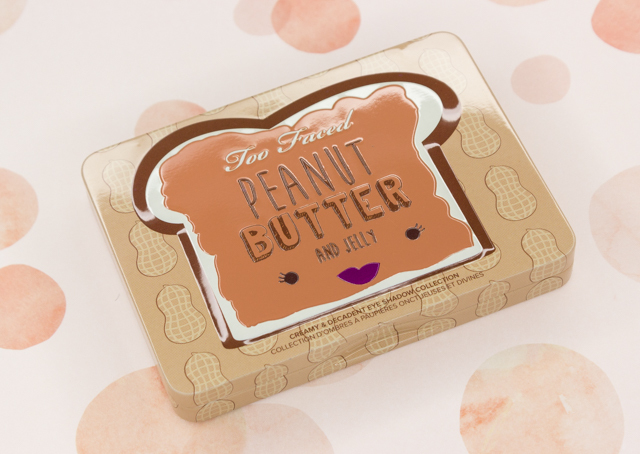 What do you all think of Too Faced's Peanut Butter And Jelly Eye shadow palette?